WHY AND HOW TO INVEST IN MIAMI REAL ESTATE? Miami has been growing in terms of importance for the last two decades. When people talk about Miami, what usually comes to mind is South Beach with its great year-round weather, gorgeous beaches, pulsing nightlife, top restaurants, Lincoln Road, and Ocean Drive. However, with the recent development north of South Beach and the addition of 23,000 condos in Downtown Miami over the last 10 years, Miami is becoming more and more gentrified, making it an increasingly fitting place to have either a permanent residence or a second or third home. 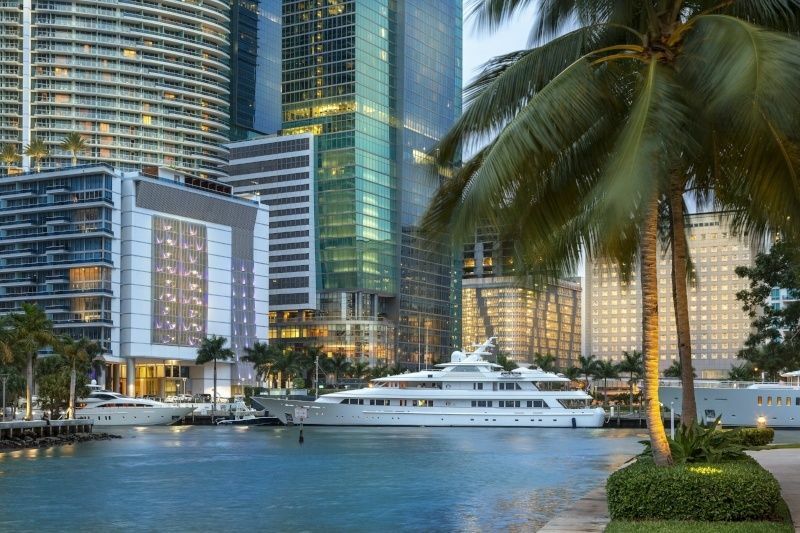 The brightest spot in the Miami market is Downtown Miami, which is finally becoming a vibrant city in and of itself. Miami Beach has gone upscale, making it one of the most luxurious destinations in the world. We are here to show you not only why you should invest in Miami real estate, but also how to do it successfully. From an initial Manhattan property search to closing the transaction to managing the property, to selling the property, we help our clients every step of the way. High Net Worth Individuals (HNWIs) and Ultra High Worth Individuals (UHNWIs) are increasingly investing in Miami and Miami Beach luxury real estate. Our first-class, comprehensive service is why locals and foreigners alike choose us to help them with one of the most important financial decisions of their lives. Our role as a trusted advisor continues well past the initial purchase, as we will often manage, market and sell properties for our clients. Miami property investors are driven by several primary goals. They want, initially, to preserve their capital and wealth, and then to grow it. Many successful business people and others make the most of the stock markets' recent explosion and the Latin American countries' commodities boom to diversify their portfolios. Miami real estate is the obvious way to do this while, at the same time, preserving and growing that wealth. Investors also purchase Miami property for other specific reasons. They want a primary residence to give them and their family a delightful place to live while maximizing tax benefits. They want a second or third home for weekend and vacation fun. They need a pied-à-terre of their own for when they attend business meetings and conferences, or simply for when they must be onsite to fulfill their executive responsibilities. An excellent reason for foreign investors to look to the Miami area is that the EB-5 Visa Program has been extended. This program enables an investor and approved family members to achieve Green Card (permanent residency) status by investing at least $500,000 in an approved job-creating project. There are a number of approved Targeted Employment Areas (TEAs) in Florida, including the City of Hialeah and Miami Gardens City Purchasing a beautiful home in Miami, maximizing capital, and achieving permanent residency will be perfect goals for many investors. US-based and foreign investors see Miami luxury homes and Miami Beach condos as perfect routes to deliver on their financial and personal goals. Notably, New Yorkers make up 26% of all domestic visitors and a bulk of Miami Luxury Real Estate buyers. Why Invest in Miami Real Estate? Miami is the "Capital of Latin America"
Miami's economy is vibrant and growing, and is America's second fastest growing metro area. Tourism, logistics and financial services are strong economic drivers outpaced only by construction. Miami is also becoming a major center for TV production and music recording and is the largest Spanish-speaking media production center in the USA. Miami has more foreign banks than any other major city and is home to more than 1,400 Latin American corporations. FDI Intelligence ranks Miami as #9 in major American cities of the future and #3 in foreign direct investment strategy. Miami's export trade exceeds $33 billion. Average population in the Greater Miami is set to increase by 1.2% demanding appropriate business and real estate supplies to cope. Job growth of 1.7% is expected while unemployment rates in June of 2018 were only 3.8%. GDP continues to grow, with a 2018 forecast of 2.2%, standing on 2017's GDP growth of 2.7%. (CBRE Residential Living 2017) and UBS ranked Miami as the world's 4th richest city based on purchasing power. "The Next Miami" puts the city at #11 in America's urban GDP producers. Miami is the only major American city to have been founded by a woman. Julia Tuttle persuaded Henry Flager to extend his railroad from St. Augustine to the town, and in 1896 400 citizens voted for incorporation. Spanish settlement continued to ebb and flow. The English began to settle the area in the 18th and 19th centuries, but the first permanent white settlement wasn't established until about 1800 when Pedro Fornells arrived on Key Biscayne. The Seminole Wars devastated the native populations, leaving the land free for European and Bahamian settlers. The Village of Miami was charted on the south bank of the river in the early 1840s, and in 1844 Miami became the county seat. 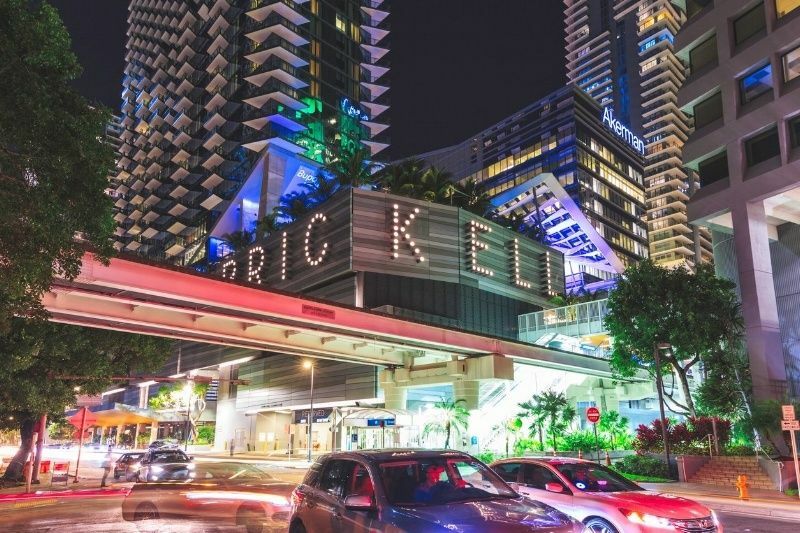 New settlers arrived, including the Brickells; still famous as a Miami neighborhood name today. New settlements grew; Lemon City (now Little Haiti) Coconut Grove, Biscayne in present-day Miami Shores, and Cutter in today's Palmetto Bay. Henry Flagler's railroad spurred development and migration. The city grew from 1,681 people in 1900 to 29,549 in 1920. By the end of WWII, the population was almost half a million, and the 2010 census showed a total population for Greater Miami of 2,496,435. The 1959 Cuban Revolution saw the first wave of middle and upper class Cubans come to Miami followed by blue collar workers. In 1965 approximately 100,000 Cuban immigrants joined the "freedom flights" and the Riverside neighborhood became known as little Havana. Little Havana is Cuban in name and history. The neighborhood now has Spanish-speaking residents from many countries such as Mexico, Nicaragua and Costa Rica. Miami was named for the Native tribe, Mayaimi, who lived around Lake Okeechobee (Big Water) until about 300 years ago. Juan Ponce de Leon was the first European to visit the area and then, in 1566, Pedro Menendez de Avilés removed the French from Florida, and established new Spanish colonies (colonias españolas.) In the early days, the area was better known as "Biscayne Bay Country" and an area that "held great promise." How right they were. Miami's broad ethnicity makes it the third most-used port of immigration in the United States. 34.1% of all residents are Cuban but they make up 54% of the Hispanic population (Pew Research) and in total, Hispanic residents account for about 70% of the population. Further demographic breakdown shows 5.7% of Miami's residents are Nicaraguan, 5.5% Haitian, and 3.3% Honduran. Many other residents also come from Puerto Rico, El Salvador, Dominica, Guatamala, Colombia, Venezuela, and Brazil. Approximately two-thirds of the Hispanic population are foreign-born. Spanish and English are the predominant languages spoken but with over 150 ethnic groups, there are over 60 languages spoken by residents and visitors alike. Miami's Philharmonic Orchestra attracts virtuosos from all over the world, and the Coconut Grove Playhouse is a famous theater. There are several art museums such as Villa Vizcaya and the Lowe Art Museum. There are specialized historical museums and a planetarium at the Museum of Science. Tropical flora and fauna are on display at Miami Beach Garden Center, Orchid Jungle, Redland Fruit and Spice Park, Crandon Park Zoo and Key Biscayne Monkey Jungle. Miami has a thriving nightlife, lots of family-friendly activities, museums, and so many sandy beaches it would take weeks just to visit them. Miami is jokingly called the "Wreckreational Capital of the World" because there are so many sunken ships dating back to the days of the Spanish empire, scuba-diving has become a major sports pastime, as has powerboat racing on Biscayne Bay. On dry land, there are more than 40 golf courses, and tennis is so popular that many world-famous tennis champions have their winter homes and practice centers here. Thoroughbred horse racing at Hialeah and Calder tracks is very popular, as is dog racing and, of course, the amazing sport of jai alai. The Greater Miami Convention and Visitors Bureau exists to promote the city and its beaches to visitors and new residents, alike. Miami International Airport (MIA) is America's 2nd most important airport for international travelers welcoming over 23 million last year alone, and handling about 70% of Florida's international traffic. There are non-stop flights from many South and Central American countries, as well as Europe and Africa. New schedules were arranged in 2017 to welcome visitors from Guadalajara, Sao Paulo, Cartagena, Dublin, Stockholm, Reykjavik, and non-stop flights from Casablanca should begin landing in 2019. Port Miami is the Cruise Capital of the World with 18 cruise brands and 42 ships departing for many exotic places. PortMiami tunnel links directly from the port to the interstate system making road travel easy and quick. Brightline's (Florida East Coast Industries) intercity passenger rail service makes travel to the Space Coast easy and convenient. There are planned extensions for Downtown Miami, Fort Lauderdale, West Palm Beach, and Orlando International Airport. Florida ranks #1 in the nation for higher education. Miami has 46 universities and colleges, including the University of Miami, Florida International University, and Miami International University. The city's public school's vision is that "All students will be college, career, and citizen ready." It's one goal is "improved individual student learning." There are 392 public schools, the students represent 160 countries and speak 56 different languages. In addition to public education, Miami and the surrounding district boasts 23 excellent private schools, catering for all ages. "Enrolling Foreign Students in Miami Public Schools"
In comparison to other global cities, Miami property prices are low. With Downtown Miami luxury condo prices at $640 per square foot and Miami Beach luxury condo prices at $1,426 per square foot, the luxury segment, which is comprised of the top 10% of sales in their respective markets, Miami prices are a fraction of those in cities like Hong Kong, New York, Paris, Rome, Los Angeles, etc. ISG's 2018 Report on Miami real estate gave some very positive data. Downtown and beach condos have appreciated on average 9% a year since 1993. In April 2018, 83% of all condos on the market had sold putting developers in a "close-out" mindset and looking forward to their next project. Condo rental numbers will also please investors because the average condo vacancy rate between 2006 and 2017 was only 3.35% in most Miami neighborhoods. The UBS Global Real Estate Bubble Index shows the Miami real estate market in a very good light. Add to that the current Miami economy, GDP and growth forecasts, and we see that Miami is both a comparatively low cost and a safe place for portfolio diversification, rental property purchases, and to buy a personal residence. UBS says, that on the world scene Toronto, Sydney, and London are over valued, and that Paris, San Francisco and Tokyo are what the index refers to as "stretched." It says New York City's luxury real estate is fairly-priced. Miami, as the following numbers show, is very well priced. It is little wonder that Miami is America's #1 target for foreign real estate buyers, and four out of five of the top foreign nationalities buying are Latino. Downtown Miami is finally becoming relevant as it evolves into an entirely new city with a landscape of cutting-edge skyscrapers. In fact, Downtown Miami is now emerging as one of the country’s fastest growing urban centers, the product of significant increases in population growth and commercial activity over the past two decades. With over 23,000 condos and more than 78 buildings constructed in the last eight years, Downtown Miami has undergone a real renaissance. A few of these buildings, like Echo Brickell, Rise and Reach, SLS Lux, Missoni Baia, Una, and Icon Brickell, are among the very top buildings in South Florida. More than 88,540 people live in greater Downtown Miami, a number which has doubled since 2000 and is expected to exceed 100,000 by the year 2020. Now that most of the inventory has been absorbed, there are new projects sprouting up that will likely take the city to another level. Not only is Downtown Miami undergoing a renaissance, Miami Beach, one of the nation’s pre-eminent waterfront resorts in the world, has become decidedly upscale. For nearly a century Miami has been a second-home choice for the rich and famous, first with its waterfront mansions and more recently with a breath of Miami Beach luxury condos. Over the last ten years, a huge transformation has taken place on Miami Beach, most notably, north of South Beach all the way to Fort Lauderdale. This transformation has made more of Miami Beach (and its environs) a great place to have a permanent residence or a second or third home. As is well known, Miami Beach attracts a very international crowd, so property prices are generally much higher on the “The Beach” than in Downtown Miami, since demand is more international and supply is constrained. For instance, the Faena penthouse sold for $60 million on Mid-Beach, whereas one can find a 1 bedroom at luxury development Icon Brickell in Downtown Miami for under $400K. Accordingly, Miami has options for everyone, but Miami Beach targets a more affluent crowd. Areas north of South Beach have developed such that they are now viable alternatives to owning in South Beach. Take, for instance, Mid-Beach, which has added a number of great oceanfront properties such as The Edition and Faena, which has an entirely new neighborhood called the Faena District. Farther north, Bal Harbour Real Estate has regained its standing with the addition of the new gorgeous condo development on the last stretch of Collins Avenue. In addition, the ultra-luxurious St. Regis Bal Harbour Hotel and Residences opened in 2012. Neighboring developments 5 minutes south like the Four Seasons Surfside, Oceana and Fendi Chateau have increased the whole area's profile. Finally, even the area north of Bal Harbour has become a viable option for many with the addition of some of the most cutting-edge buildings in South Florida, such as Jade Signature by Herzog and De Meuron, Muse, Armani Casa Residences, Aqualina, Porsche Design Tower. These unique towers have all added cache to the area as a whole including Sunny Isles, which was once no mans land. Even Fort Lauderdale has seen a surge in luxury development with the addition of Four Seasons Fort Lauderdale Hotel and Residences, Paramount Residences and Auberge Beach Residences & Spa. All the statistics we have listed trend towards an easy conclusion: investing in Miami luxury real estate and beach condos is low risk. As well as the high number of foreign investors, Miami sees many Americans coming here, especially from New York. Many wealthy New Yorkers summer in the Hamptons and winter in Miami. Some even say it is quicker to fly to Miami than it is to drive to the Hamptons. Now that we have talked about Why Invest in Miami Real Estate, let's dive into How to Invest in Miami Real Estate! Taxes are another well-founded reason to invest in Miami real estate. Florida residents (who do not have to live there full-time) benefit from no state income tax and from "homesteading" their primary residence. It is easy to ignore the homestead benefits since many people think it merely reduces the taxable value of the property by $25,000. But in addition, there is an annual lifetime limit as to how much that taxable value can increase. Over 10 or 20 years, that can be significant. And you do not have to keep the same property; the homestead exemptions are transferable to new a purchase, so there is every reason to keep looking at properties for sale. In addition, unless the homestead is guaranteeing a debt, it is impossible for any creditor to seize the residence to pay off business or other personal debts. We have explored in detail "Why you should invest in Miami," so now let us discuss how to invest. "Miami Real Estate Tax Information You Should be Aware Of"
Miami Buyers Should Always Use a Buyer's Agent. Be clear about what you want and why you want it so you can stay focused and work efficiently on the multi-million-dollar project to buy. Have all the facts to hand so the final decision delivers long-term satisfaction. It is a well-known fact among real estate professionals that, apart from a serious change in personal circumstances, the main reason a resale property goes on the market is because the owner "bought the wrong property in the first place." Have experienced, successful, and detail-oriented specialists on your team from Day 1. Every country in the world and every state in America apply different real estate laws. Some are common, but many parts of the small print are so different that simple errors can cause serious problems. The property seller, particularly if it is pre-construction or new construction, will have their own agent working for them, and working on their behalf. The buyer should choose their own Miami real estate agent. As well as choosing someone who specializes in Miami neighborhoods and specific properties, it is very helpful to a foreign buyer if the agent speaks their language. That way, "nothing gets lost in translation." In Florida, it is standard practice for Realtors to work as what is called a Transaction Broker. This enables them to help the prospective buyer search for and see every property that meets their criteria. Once a property is short-listed, their agent can become a Single Agent. As a Single Agent, the Realtor owes all their loyalty to the buyer, and none to the seller, so they can negotiate, effectively on price, terms, and conditions. An agent who represents the seller cannot deliver that crucial level of service to the buyer. The commission, or sales fee, is paid by the seller, so hiring a dedicated agent is free for the buyer. The seller, in effect, pays the buyer's agent to bring a ready, willing and able purchaser to complete the transaction. Everything about the Miami real estate market and individual Miami neighborhoods. Every type, style, and specific location and aspect of every piece of property currently on the market that will match the buyer's purchase criteria. The luxury real estate market commonly has properties listed above true market value. Some buyers feel the need to make a quick decision, and some sellers try to capitalize on that by setting a high price. A good buyer's agent will counter that. Every property that is due to come on the market but has not yet been listed for sale. Possible "close-out" sale prices soon to be offered by developers who want to complete a project and begin their next one. There is real benefit in buying a property that is discounted because the developer wants to "close the books" on a current project. The experienced buyer's agent will also know if a new project which meets the buyer's criteria may offer lower-priced pre-construction prices. The background details on each development, homeowner association and city code details which may affect long-term satisfaction with a purchase. The details within a contract to purchase. Florida has two main contracts, the "FAR contract" and the "FAR/Bar contract." Some buyers may hire an agent whose brokerage uses their own contract. The FAR/Bar contract is considered by real estate attorneys to be the tightest and most protective of them all. It is always good for a prospective buyer to know which contract their Realtor will typically use. A permanent resident looking for a prime property may be more interested in a luxury single family home or want to focus on Miami mansions for sale. An investor or someone looking for a pied-à-terre may choose a high-rise condo in Downtown or a Miami Beach condo. Each has their own role in meeting a buyer's preferences, so choosing the right agent to find the right property in the right neighborhood is essential for success. A buyer can purchase a pre-construction condo or a resale condo. Buying each has their pros and cons. "3 Tips for Investing in Miami Luxury Real Estate"
"A Guide to the Most Distinguished Miami Mansions For Sale"
A single family home's ownership costs are all the owner's responsibility. The property tax is based on assessed value by the Miami-Dade County appraiser. Utility costs are based on monthly usage. landscaping and maintenance costs are subject to contract negotiation by the owner and the contractor. Homeowner insurance depends on coverage and preferred deductible. Regular insurance will cover wind damage, but flood damage is managed by the National Flood Insurance Program and depends on the FEMA flood zone designation where the property is located. Condos come with a monthly association fee to cover the management and maintenance of all common areas. Florida also requires each association to hold appropriate reserves; funding is included in the monthly fees. Condo owner insurance is charged at a lesser rate than single a family home because the exterior of the property is covered by a separate insurance, and those premiums are included in the monthly management fee. Condo owners should seek advice on taking out flood insurance from their insurance agent. One cost of owning investor property to rent out is the commission. 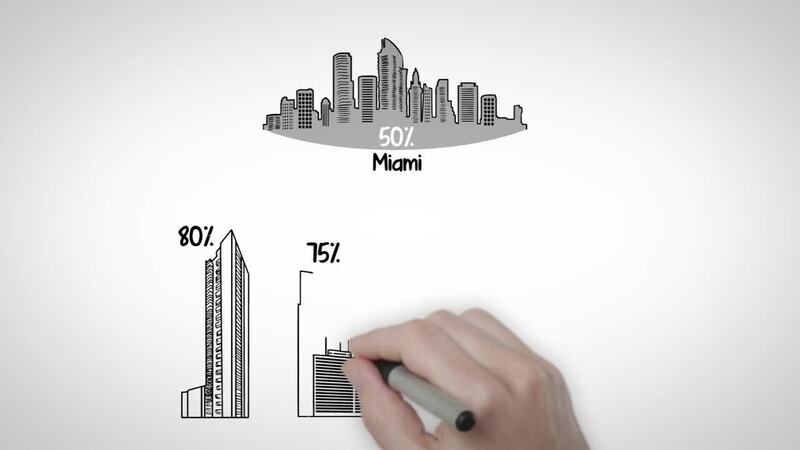 In Miami, it is usual for the owner to pay 10% of the annual rent. Mortgages are readily available to high credit score applicants whether domestic or overseas buyers. Mortgage rates are historically low, and by choosing a specific mortgage type, the rate can be made lower still.Typical mortgages are fixed for the life of the loan, which is usually 15 or 30 years. A deposit of 20% up to 50% may be required according to the overall size of the loan, and whether the borrower is domestic or overseas. Foreign borrowers are welcome, and arranging finance is not difficult. The rest of the property's purchase price if paying cash, otherwise the rest of the agreed deposit. Finance charges paid to the mortgage lender. Property insurance premium, plus any "reserve" required by the lender. Title insurance if the property is new construction, otherwise the seller is likely to cover this. Title insurance paid to the lender to guarantee the mortgage in case of any subsequent title dispute. Closing costs payable to the title agent. Legal fees payable to the buyer's attorney. We always advise our clients have a specialist attorney working for them on luxury property purchases. Property inspection fees. The inspector is hired by the buyer to ensure everything is safe and functioning to industry standard. Admin, courier, and other miscellaneous charges. As a final note, it is worth mentioning that Florida's property tax laws are such that many of these costs may be "offset" by the lower rates when compared with high-tax states like New York, New Jersey, and California. And those lower rates continue every year of course. US tax laws are very favorable compared to some countries. Rates are lower than in some other countries, and there are many ways to reduce tax liability. If you rent out your Miami property, all taxes and other costs are used to reduce your tax bill. Capital gains tax (CGT) is applied to property sales. Primary residence owners may deduct up to $500,000 of profit before CGT is applied. CGT may be deferred by using the 1031 Tax Law to sell one property and buy another of like kind. The initial cost of purchase may be "tax-depreciated" over 27.5 years to lower annual tax liabilities. Estate taxes can be totally avoided. Discuss the details with your attorney on how to plan ahead. The US has tax treaties with many countries to avoid "double-taxation" so discuss your personal situation with your own accountant or tax attorney. Tax laws are such that, because of the various applicable deductions, many investors pay no federal income tax for 10 – 15 years. Sellers pay a 6% commission split between the listing broker to cover all marketing costs, and the buyer's agent for bringing a ready, willing, and able buyer to the transaction. We deliver for our clients a fully comprehensive marketing program focused specifically on their property. We ensure and maintain full exposure to attract the maximum number of qualified buyers from around the city, state, country, and world. We prepare superb marketing materials, make maximum use of internet marketing tools and sites, and make best use our huge list of potential buyer contacts. We network constantly with other real estate professionals. This is a powerful and effective way to work "behind the scenes" on maximizing property exposure. For every offer received we calculate, to the penny, the closing costs so our clients know exactly the size of the check they will receive, or how much they can apply to completing a 1031 Exchange. Foreign sellers are subject to the Foreign Investor Real Estate Transaction Act (FIRPTA) which requires 15% of the sale price to be held back until the government is satisfied all taxes have been paid, then the reminder is released. "Why Is Your Miami Condo is not Selling"
The answer to this question can be complex. It really depends upon whether you want to live in a neighborhood that has the most desirable free standing houses, like Miami Beach, Coconut Grove, Pinecrest or Coral Gables. Or, a neighborhood that has high rise condos and 24/7 living, like Brickell, Edgewater or South Beach. Somewhere as special as Miami, known as both the City of the Future and the Magic City, has a lot of neighborhoods where you will feel "at home". Relocating can be both exciting and stressful. With our help, our buyers research potential areas, explore them in person, and choose both the right neighborhood and the right property for them, whether it he a Miami Beach house or Miami condo. Our local contacts will assist you with all the practical steps, and to make sure your new home is prepared for your arrival. We have discussed why Miami is a "first choice" location to live in, invest in, and to maximize income and capital growth opportunities. Miami is a magnet for real estate development, Your Miami property search begins and ends with us. Our expertise, detailed knowledge of every neighborhood, development, and the home-buying and home-selling processes are everything you need. Our experience is not only in Miami luxury properties, but it is in working closely with global clients. You want success; we deliver it. Hear about our clients' stories and see where you fit in. Need A Miami Real Estate agent?